On June 21, 1947, Harold Dahl, his son Charles, their family dog, and a two-man crew patrolled the waters near Maury Island on Puget Sound in Washington. Just after two o’clock in the afternoon, six unidentified flying objects allegedly appeared, hovering over the boat. The discs measured 100 feet across with hollow centers like donuts. One of the six saucers struggled to maintain flight, and Dahl feared it would crash into his rig. Suddenly, a “white metal,” lava-like substance exploded from the “spacecraft.” It showered the boat with fire and debris. Dahl’s dog died instantly. Charles received burns to his arm. Dahl ran his ship aground, and the boat’s passengers made a run for nearby cliffs seeking shelter from the firestorm. As quickly as they’d come, the UFOs vanished. But a new chapter in American history was born—the UFO craze. Read on to learn more about the Maury Island Incident and how it continues to inspire pop culture happenings in Washington. Thirty minutes into the flight, the B-25 inexplicably caught on fire crashing east of Kelso, Washington. Some newspapers reported it was shot down by a .20 mm cannon. What we do know is that Davidson and Brown became the first two fatalities in Air Force history. 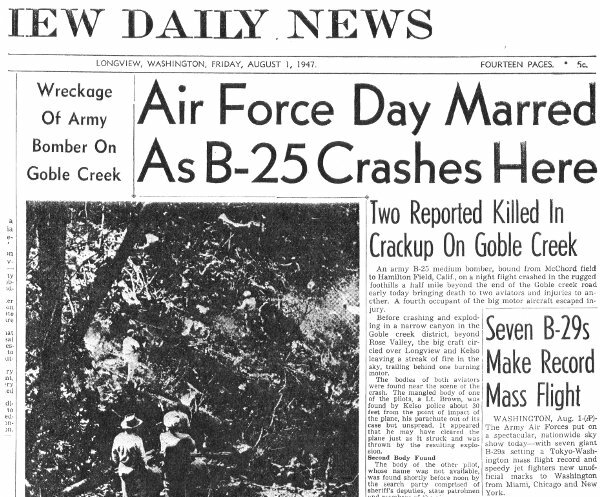 August 1, 1947, marked the day the Air Force officially separated from the Army becoming its own military branch. As reported in the Army’s Final Mission Report, the Army immediately secured the crash site near Kelso until another intelligence officer arrived and recovered the “top secret cargo.” FBI documents associated with the Maury Island Incident would remain classified for the next 50 years. The June 21st sighting at Maury Island happened just three days before pilot Kenneth Arnold’s famous sighting of nine flying discs over Mt. Rainier and two weeks before the Army’s report of a crashed UFO outside Roswell, New Mexico. 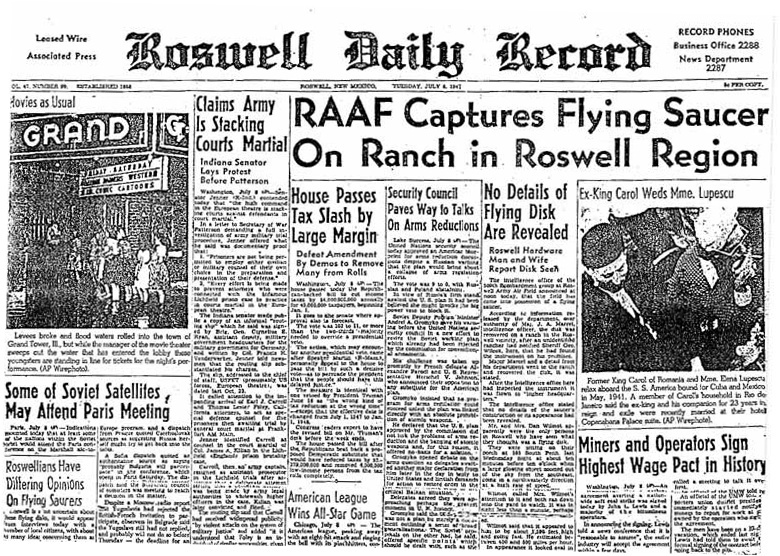 (The Roswell story was retracted just three hours after being announced.) 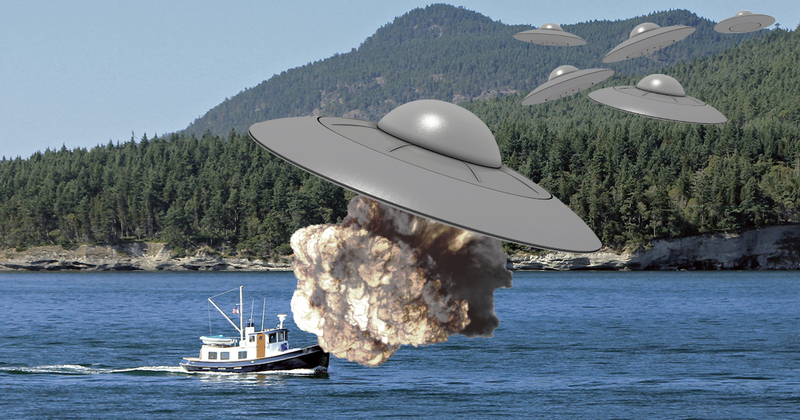 These separate incidents inspired “the summer of the saucers.” Beginning with Maury Island in June, the summer of 1947 was inundated with hundreds of daily news reports of flying disc sightings. Some proved hoaxes perpetuated by attention-seekers, and some appeared to be observations of unknown objects. But the question remains: why did so many branches of the government—the Army, the Air Force, the CIA, and the FBI—aggressively investigate these sightings? According to The Maury Island Incident’s (2014) screenwriter and producer, Steve Edmiston, historical context matters. “In May 1947, President Truman announced the containment doctrine, identifying less than two years after WWII our new enemy—the Soviet Union. And it may well be that the purpose of aggressive government investigation of objects in the sky was a profound concern that the US was being overflown by a new hostile adversary.” Edmiston based The Maury Island Incident on declassified FBI documents directly tying then FBI Director J. Edgar Hoover to the investigation and alleged coverup. Maybe that’s why Washington still can’t get enough of the story. Over the course of seventy years, the Maury Island Incident has spawned numerous books, The Maury Island Incident movie, the Maury Island Incident Historical Society, and two synergistic festivals: 1) Burning Saucer and 2) the Burien UFO Festival. The Burien UFO Festival (BUFO) was launched by entrepreneur John White, the Executive Producer of The Maury Island Incident. Inspired by the story, the local roots of the film, and continued community interest in this history, White conceived of the one-day annual celebration as a way to extend the story through audience participation. Four years later, BUFO draws thousands of attendees each year. The festival integrates film screenings including an annual viewing of The Maury Island Incident. The 2017 showing channeled Mystery Science Theater 3000 featuring live commentary. 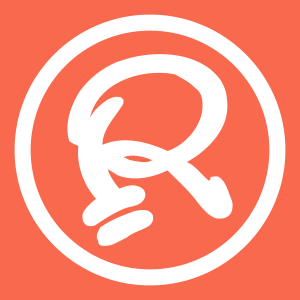 Think of BUFO as a “big geeky space party” featuring thousands of people and dogs dressed in extraterrestrial costumes, UFO-themed guest speakers, DJs, and a beer garden. The next festival will hit this planet on April 1, 2019. So, start working on your extraterrestrial costume now. GREAT STORY, thanks Engrid and Ripley”s! Thanks, Steve! You made this a super fun story!